You wouldn’t eat 5 multivitamins or take 10 aspirin a day because that could make you sick. How frequently you consume an energy drink is just as important to your safety. There are many energy drinks* that are not bad for your health nor dangerous if consumed in moderation. This Book Excerpt of the Week comes from PART ONE: ABCs of Caffeine Safety, C= Consumption Specifics. 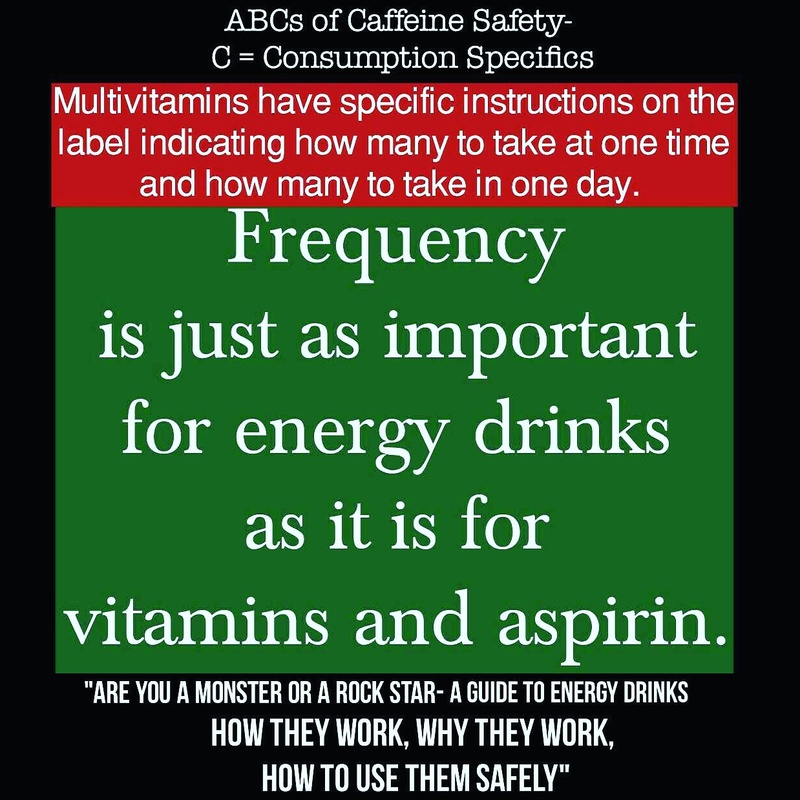 For more information, check out “Are You a Monster or a Rock Star-A Guide to Energy Drinks: HowThey Work, Why They Work, How to Use Them Safely”, available on Amazon and wherever books are sold. ← Watch as CaffeineAddict gives a shout out to GreenEyedGuide’s energy drink book!